The music lover is always on the go and headphones are one thing that keeps the groove going. If you are always on the move, whether travelling for work or simply for vacation purposes, then you definitely need these best portable headphone amplifiers of 2018 under $100 with you. Now most of the times, it so happens that you are walking or jogging with the headphones on, you can hardly hear anything at all because of the loud traffic noise and external disturbances. Hence your favourite line from the Iris City of Angles is just gone with the wind. Missing out on some of these special moments is surely not a very pleasant thing. Moreover, if you do not have noise cancellation headphones and reduction facilities, you are most likely to hear your neighbours honking horn more than the enchanting lyrics and tune of the song. You might already know what these best portable headphone amplifiers does, but it is also necessary to understand as to whether you need one or not. If you have a headphone that has external noise reduction features and is less than 80 ohms or in-ear headphones with small drivers, then you do not need an amp to boost up the music power play. There are some particular headphones with which you are not going to need an amp and will cost you a lot. If you have a standard headphone and need the sound to be super blasting and crystal clear, then it is about time that you get an amplifier for yourself. Portability is a huge factor here, and if you manage to grab one that you can take along your travels, then there is hardly anything better to start off the party with. There are several ones available in the market, and good models will obviously cost you quite a bit. However considering that you have already invested on a headphone and do not need another blow to finish up your salary, here is a list of 10 best portable headphone amplifiers which are portable and under the $100 budget as well. With a price that comfortably fits under $30, there is nothing more that you could want. It is small, portable and a shade of black gives it the perfect classiness and uber fresh appearance that is not going to bring down your fashion sense while on the move. ‘With this AGPtEK model, one can avail a sound that turns your headphone into nothing less than a subwoofer. It has a separate switch for bass, an amplifier chip along with an amplifier buffer of Pre-Fever grade. With the inclusion of the SMD SMT technology, there is great sound quality and clarity as well. A lithium battery which is built-in provides faster charging that gets done within 2 hours. You can use this best headphone amp for a continuous stretch of 48 hours. The presence of aluminium gives it the necessary durability. It is going to serve beautifully for your extended travel plans or individual party that you want at home. This model might not look much attractive but comes loaded with wide array of features. It looks very basic and might not add on to your style statement, but it is quite comfortably the best you can manage to have within a budget that is under $35. There are two more separate models as well which are the A1 and the A4, but this particular one makes sure that you have best sound quality and also do not have to compromise on your budget. The fact that it is portable which is one of the best utilities it serves. With a new and renewed amplifier circuit, there is not only less distortion but external noise is conveniently dropped off as well. Since high-quality music is the need of the hour, you can rely on this small device to provide you exactly that. You can connect it to your computer, phone, MP3 and MP4. With a price that is well below the $100 mark, you can be sure that it is not going to burn a hole in your pocket. You do not have to compromise with excellent sound quality because, with an improved audio enhancer, this device is the ultimate portable headphone amplifier model you can have on a small budget. This one is quite a unique model, and again it is not much of a style statement but surely serves the purpose for its purchase. It is one of the best portable headphone amplifiers under $100 and has two separate outputs. Hence you and your friend can enjoy songs with the same amount of intensity through two different headphones. The battery is Lithium polymer and has a pretty decent lasting period of 8 hours considering that two separate headphone outputs are in use constantly. There is a switch to increase bass sound, and that surely makes up for your dreadful headphone sound. There is a USB Port provided for charging to take place. It is compatible with headphones that have 16 ohms to even those having 100 ohms. Hence there is no way you have to worry about your poor quality headphone, once you have this mini headphone amp with you. The headphone jacks are of 1/8 inches, and there is a rotating knob to indicate the power of volume and to switch it off. It serves much more than higher budget portable ones. This is a model that you need to have if you are thinking about increasing the sound of your headhones and ensuring that the device does not run off after a few hours. The E1 model is more than decent and performs what it promises. If you want studio quality sound, then this is the apt choice for you. With 600 ohms power, high performance is a guarantee you get. A shift from the regular USB port and you have the advanced 106db SnR for excellent output standards. The double point for headphones makes it possible for sharing headphones without having to exhaust the battery for 25 hours with special thanks to a lithium battery. There are certainly extra features that most other cheap headphones amp does not have. It includes a built-in mic so that you can receive necessary calls. Even when you are on Skype playing games and the Mac, voice communication is going to be crystal clear. The SBX Pro Studio technology makes up for increased bass and dynamic improvements. Hence it is quite a mean device to carry around. Nothing can make you stay on a budget other than this extraordinary model that FiiO has brought along. Being below $40, it is one of the best buys you can have with regards to a portable amplifier for your poor headphone. Headphones with lower sensitivity will play best with this particular model. There is a volume control added along with a switch that can increase the bass of the music on two separate levels. Amplifier chip is provided to enhance the sound and make your headphones sound like a great studio performance. With all these features added, it is an upgrade from its previous F5 model. With the dual bass levels and circuit, the sound quality is grand. 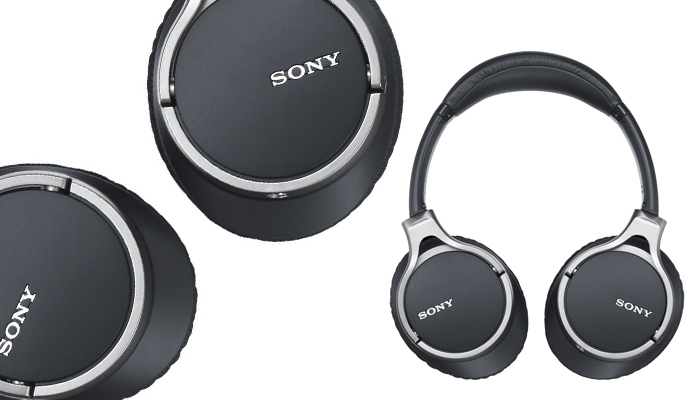 If your headphone connects to any audio source such as the MP3, laptop or even CD players, there is no compromise with the brilliant sound quality. If you are looking for something with a lot of features, then this is one of the best models you can come across. It looks sleek and is easily portable. If you are one for style statements, then this is sure not to disappoint you. You can connect your headphones with iPhone, Mac, PC, Android Smartphones, Mp3 and Mp4 players. Connection with all devices is going to serve you with excellent sound quality, without any distortion and interference. With a 1000 mAh rechargeable battery, you are hardly going to run out of power while using this one. There is a LED indicator for the power on and off button. With an aluminium cover and a classy metal shine, this under $45 model is a sure shot winner. FiiO has several masterpieces in its collection, and this one, in particular, happens to be an excellent choice. It is increasingly true for those who are ready to spend near $60 and get a device that not only looks uber cool but also serves the amplifier purpose perfectly. With a durable and sturdy aluminium body, you can carry it around comfortably during long travels. Headphones that have a range of 16 to 150 ohms are ideally suited for this model. With technologies such as the AD8397 amp and OPA1642 preamp, you are sure to get a music quality that is nothing less than excellent studio sound. A 3.5dB at 60Hz is the increase of bass sound that you get with a sophisticated system tuned in for good music hearing. With the high frequency and mid range resolution, there is nothing more that one can ask. If you are in the mood for carrying a small best buy portable headphone amps for $100 that has some of the best features incorporated, this FiiO model is surely a great catch. This one is available in two colour options of black and silver, and both are around $80. Hence it is quite a pocket pinch, but if you indeed lay your hands on this one, you are settled in for quite some time. It has a 2400 mAh battery power, making it perfect for all those extended hours that you are about to spend in the car for the family vacation. With a USB charger, you can have quick and smart charging. It comes with a DAC decoder as well. The battery is lithium polymer, giving the device a powerful performance. As far as the power consumption is concerned, one can make adjustments in agreement with the speed. With a mega bass enhancer, you can listen to high-performance studio quality music whenever you want to. If you are eager to carry a headphone amp that suits all your needs, right from power consumption to boosted bass music, then it is the time you gift yourself this model for next Christmas. If you are looking for a model that is going to serve your current technological device needs and also dish up the requirements for enhancing the sound quality of your headphone, this type hethis modelps your prerequisites entirely. Coming right on the edge of $100, this model is a must have if you are ready to invest and listen to high-performance music no matter where you are. It supports a power range of 600 ohms and 112dB DAC. The reason for its hefty price is the added Bluetooth facility it provides. With the Bluetooth on, you can use the device for 8 hours and without it for a stretch of 17 hours. There is a build in mic and supports dual headphone points for the last jam. From rewinding songs to answering calls, there is not much you can do with this model of excellence. This is probably the best you are going to come across, and it is comfortably on the edge of $70. With a design that is going to impress your inner fashion conscious mind, this one is an ideal winner from angles of performance and appearance. With a beautiful black sleek design and a metallic shine, there is nothing much that you are not going to find on this particular device. A USB port provided works as a DAC interface and charger as well. Headphones ranging from 16 to 150 ohms are a suitable fit for this affordable headphone amp. The lithium polymer battery with 1400 mAh provides the necessary high-performance audio experience. With a continuous run time of 30 hours, there is no way you can exhaust the power. With a sound quality that is stellar and with effective noise adjustments, this model is going to provide you with nothing less than a mind-blowing studio performance experience that comes with beautiful musical tunes. 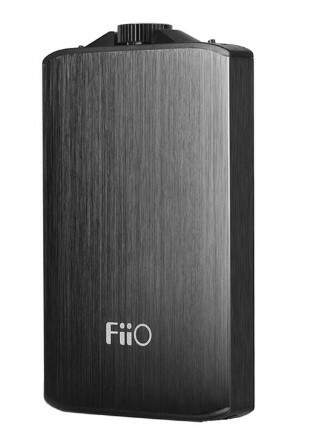 If you are keen on investing, then the FiiO Q1 can be the best buy ever. With so many options at your disposal, you can comfortably go for any of the devices and not be disappointed by even an inch. Each of the portable headphone amplifiers under 100 dollars of 2018 has an exclusive feature of its own. 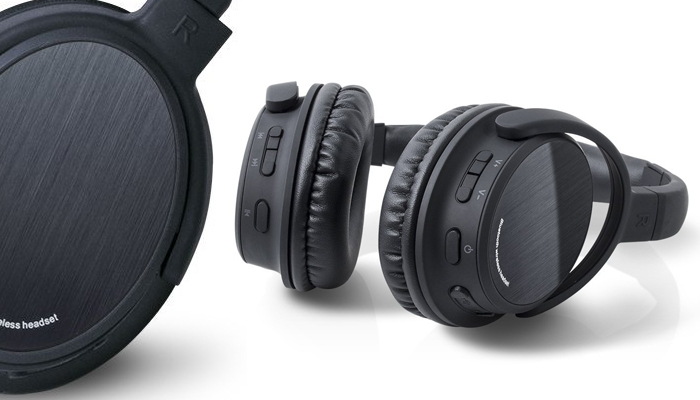 Whether it is the long running hours of music or the high-performance battery, having an additional Bluetooth connection to being able to jack in two separate headphones and listen to great music, is a great deal.